find products for your customers. 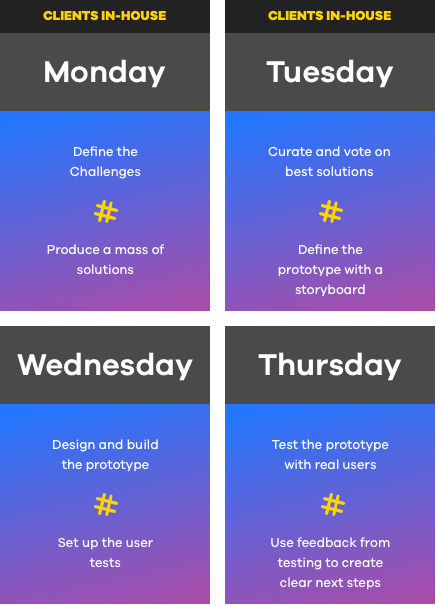 The Design Sprint helps you explore challenges, identify a range of possible solutions, select the best one and verify its effectiveness with real users – in just one week. This process was invented by Google Ventures. It’s a fantastic way to solve a business problem or kick off a product in a short, focused amount of time. The sprint motivates the team and aligns everyone with clear shared objectives. Why should you use Design Sprints? The most significant risk is creating something that your customers won't use or won't understand. The Design Sprint is a tool that empowers you to test your assumptions in a few days, instead of months. When should you do a Design Sprint? When your company is confronted with a business problem and you are not sure of the best way to approach it. The very purpose of the Design Sprint is to solve problems. Whether they are large, small, product or business related. When you are looking to improve your existing product, e.g. increase engagement of a specific part of the product, or new features. Doing a Design Sprint allows you to focus on one task to get things done rapidly as well as align your team with the same vision. Before a new product is created - when you are still trying to validate your idea. 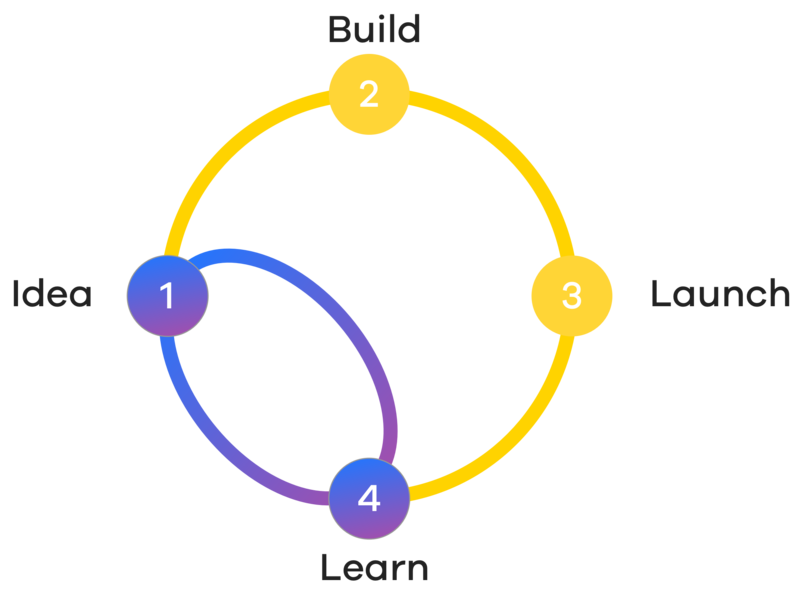 The sprint will give you guidance to whether you should build the product or not. Still not sure? Try our interactive flowchart to help determine if you need to do a Design Sprint! At EndUser we use the updated version of the sprint: Design Sprint 2.0, it's essentially a 4-day intense workshop to maximise the chances of making something people want. On Day 1 we work in person with you, to define the challenges and understand the problem. Day 2 will be exploring possible solutions and deciding what solution to prototype. Day 3 is rapidly building the prototype by creating a minimum viable concept. Day 4 is learning from real users testing the prototype. Once you have a tangible representation of your product in your hand and real user insights to guide your next steps, making decisions becomes a lot easier. to the questions you started the sprint with. A high-fidelity interactive prototype tested by real users (incl. design files and access to user test videos). An in-depth, detailed executive summary PDF of the sprint week with findings and results. Recommended next steps and an execution proposal from us if applicable.